Anyone who has been watching Vanderpump Rules from the beginning has witnessed the ups and downs in Katie Maloney and Tom Schwartz’s relationship. It honestly seemed like he was never going to commit to her and actually pop the question, but he did. Now the engaged couple is all about the wedding planning. Considering how open they are with pretty much every aspect of their relationship on reality TV, it’s not at all surprising that they’ve shared some details about the wedding preparation and even divulged some advice that they have received from Lisa Vanderpump. Katie expressed thanks on Instagram, “Such an amazing day. Thank you to all my girls for everything. My heart has doubled in size.” Check out all the pictures Scheana, Ariana, Brittany, Katie, and Kristen shared of the shower below. Lisa Vanderpump Calls Kristen Doute and Stassi Schroeder “Two Wenches”; Thinks Jax Taylor Needs a Reality Check! Katie Maloney “Struggled” Witnessing Lisa Vanderpump and Stassi Schroeder Face Off! Katie Maloney is newly engaged, gainfully employed, and in a good place with her friends these days. All things ex-BFF and Vanderpump Rules star Stassi Schroeder is decidedly not! While THE RETURN OF STASSI! seems to be the Japanese horror film headline everywhere one turns on VPR these past weeks, Katie says she’s trying to focus on the more positive aspects of her life. She does admit that seeing her old friend squirm under the expert interrogation/verbal spanking Lisa Vanderpump doled out was a bit uncomfortable to watch this week. But she agreed with Lisa’s astute points, just the same! Is it just me, or is Kristen Doute actually sounding more and more…sane lately? Maybe it’s the therapy. Maybe it’s the blessed lack of James Kennedy in her life. But whatever it is, Kristen seems to be making sense these days when it comes to her take on the cast of Vanderpump Rules, and where she hopes to fit within it. 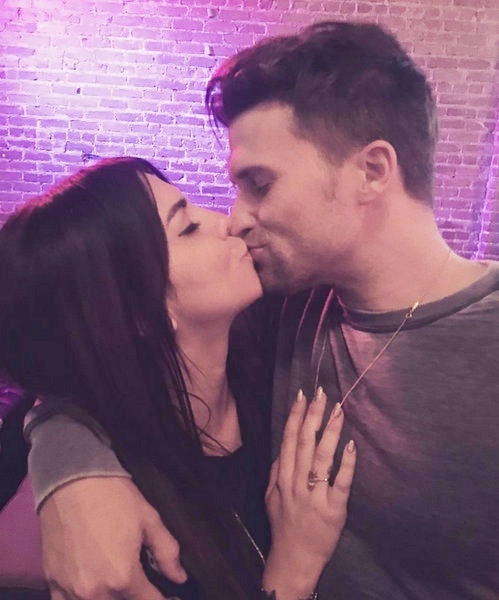 It’s been a long time comin’ for Tom Schwartz and Katie Maloney, but this week’s Vanderpump Rules finally served up the proposal Tom and Katie have been dancing around for four seasons. “Well well well. I did it. I sealed the deal. Put a ring on it. Great advice from Beyoncé by the way,” jokes Tom. 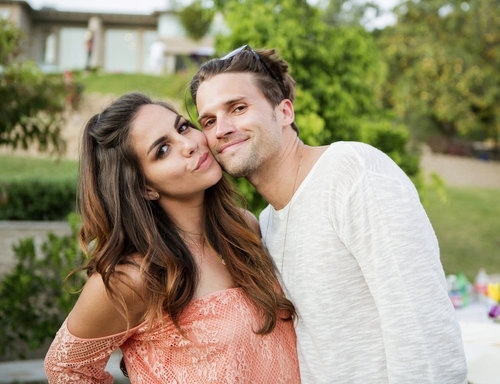 Photos – Vanderpump Rules Stars Katie Maloney And Tom Schwartz Finally Engaged! Well, well – look who finally put his big boy underoos on and popped the question! Tom Schwartz has finally caved to Katie Maloney‘s demands and proposed to his girlfriend of a zillion years. And no, there were no rings on strings involved, just rings that came with strings called long-term commitment. Y’all know what this means: Another Vanderpump Rules wedding! Katie announced the news on instagram with a photo of her wearing the engagement ring while Tom 2 nuzzled her neck (yay for finally making physical contact!). “So I said… YES!!! !” she gushed. CLICK CONTINUE READING BUTTON FOR MORE PHOTOS!